I had a chat with the current cohort on the kind of the capabilities that can be introduced into applications using WebRTC. They were fascinated and we quickly hatched a plan for us to run a training workshop with them and following on from that, a development project where we invite third sector organisations to present ideas that Founders and Coders can take forwards into proof of concept hacks. Yesterday was the first day of the workshop, and we were able to quickly get them up to speed with how WebRTC works and how they can use the IPCortex API to make phone calls and initiate video chat. We are finishing the workshop today and start work on a project with a really interesting real world social use case first thing tomorrow morning. 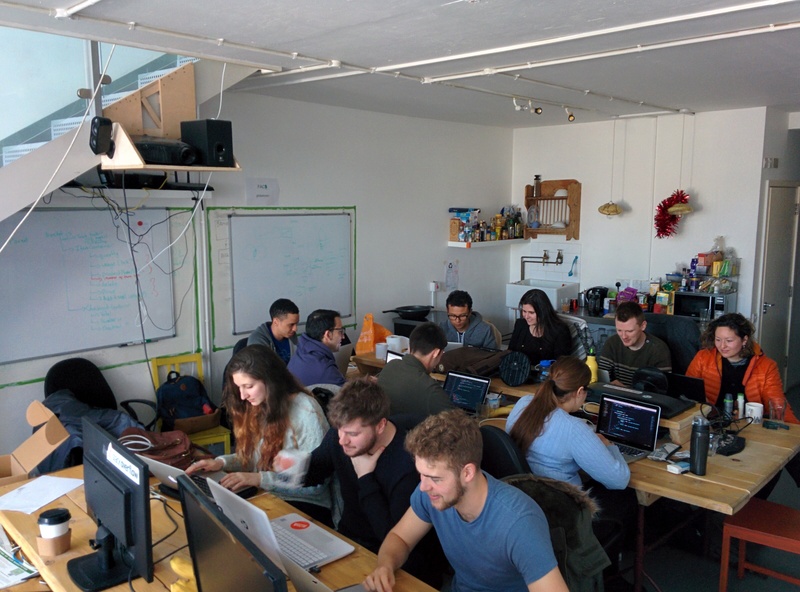 There is lots to do, but the intention is to take the idea to TADHack London which is conveniently happening over this weekend to work on it a bit further. We’ve already selected the project from a health charity that we will develop, and I’ll talk a bit more about the it as it starts to unfold, but it is ambitious! None of the FAC students participating will have been exposed to implementing real time communications before the workshop which started yesterday, and by the end of the week they will have hopefully developed a real application from scratch. I don’t think we have ever done anything like this on this kind of timescale before but it is going to be great fun. We just might also generate something that has a lasting impact using communication for social good.